The duo that brought you the “bright” and “breezy” (Booklist) Some Bugs is back with a vibrant companion book that’s packed with your favorite pets. Some pets sit. Some pets stay. Some pets fetch, And some pets play. Come one, come all, to the pet show! 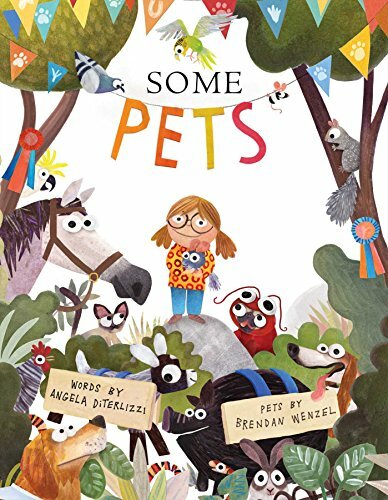 With dogs and cats, horses and chickens, hamsters and chinchillas—and many, many more!—this book celebrates animal companions of all shapes and sizes. Who will take home the coveted Best in Show ribbon? Join the fun to find out!